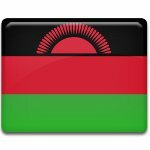 January 15 is John Chilembwe Day in Malawi. This day honors the memory of reverend John Chilambwem who became the hero of independence. 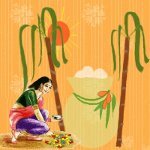 Thai Pongal is a Tamil harvest festival dedicated to Surya, the solar deity in Hinduism. It begins on the 1st day of the 10th month in the Tamil calendar, which corresponds to January 14 in the Gregorian calendar, and lasts for four days. 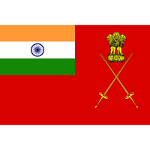 January 15 is Army Day in India. This day is celebrated to remember Lieutenant General K. M. Cariappa, who took over as the first Commander-in-Chief of the Indian Army. The Hashemite Kingdom of Jordan, the Arab Republic of Egypt and the Republic of Malta annually celebrate Arbor Day on January 15. 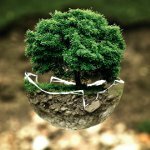 The tree planting events are organized in these countries to encourage all people to participate in this observance. 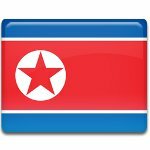 North Korea observes Korean Alphabet Day or Hangul Day on January 15. This day is a commemorative day that marks the invention and proclamation of Korean alphabet. Ocean Duty Day (Hari Dharma Samudera), also known as Day of the Sea and Ocean Event (Hari Peristiwa Laut dan Samudera), is an Indonesian remembrance day observed on January 15. It is designed to honor the memory of those who died in various battles at sea. International Recognition Day is a Croatian observance held annually on January 15. It commemorates the international recognition of Croatia by all members of the European Union in January 1992. 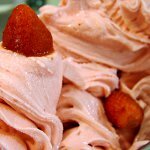 Wikipedians know January 15 as Wikipedia Day. On this day in 2001 Wikipedia was launched by Jimmy Wales and Larry Sanger. 2018 Died: Dolores O'Riordan, Irish musician and singer-songwriter. She led the rock band the Cranberries for 13 years before the band took a break starting in 2003, reuniting in 2009. 2013 A train en route to Cairo from Sohag derailed near Badrashin station in Giza, Egypt. 19 people died and 120 were injured. 2013 Died: Daniel Edelman, American publicist, founder of Edelman, world's largest PR firm. 2007 Died: James Hillier, Canadian-American scientist and inventor. Hillier designed and built the first successful high-resolution electron microscope in North America in 1938. 2005 Died: Ruth Warrick, American actress, best known for her role as Phoebe Tyler Wallingford on All My Children. Warrick played this role regularly from 1970 till her death in 2005. 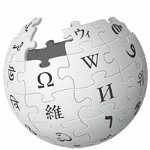 2004 Jimmy Wales and Larry Sanger launched Wikipedia, a free-access, free content Internet encyclopedia. 1995 Died: Vera Maxwell, American fashion designer, founder of Vera Maxwell Originals. Known as the first American designer who began making clothes with Ultrasuede material. 1991 Elizabeth II signed letters patent allowing Australia to institute the Victoria Cross for Australia, the highest award in the Australian Honors System. 1988 Died: Seán MacBride, French-Irish politician, Nobel Prize laureate as a man who mobilized the world conscious in the fight against injustice. 1970 Died: William T. Piper, American businessman, founder of Piper Aircraft Corporation, one of the "Big Three" (along with Cessna and Beechcraft) in the field of general aviation manufacturing. 1969 The USSR launched Soyuz 5 which docked with Soyuz 4 in orbit. It was the first-ever docking of two manned spacecraft of any nation. 1943 The building of the Pentagon was dedicated in Arlington County, Virginia. It is the headquarters of the United States Department of Defense. 1929 Born: Martin Luther King, Jr., American minster and activist, leader in the African-American Civil Rights Movement, Nobel Prize laureate for leading non-violent resistance to racial prejudice in the U.S.
1919 The Boston Molasses Disaster occurred. A large molasses storage tank burst, and a wave of molasses rushed through the streets, killing 21 and injuring 150. 1919 Died: Rosa Luxemburg, German economist, theorist, and philosopher. She was one of the most influential activist in the left-wing Social Democratic Party of Germany. 1919 Died: Karl Liebknecht, German politician, co-founder of the Spartacist League and the Communist Party of Germany. He's best known for his opposition to WWI in the Reichstag and role in the Spartacist uprising of 1919. 1918 Born: Gamal Abdel Nasser, 2nd President of Egypt. Nasser introduced some far-reaching land reforms that changed land ownership practices in Egypt. 1912 Born: Michel Debré, French politician, Prime Minister of France. Debré is considered to be the "father" of the current Constitution of France. 1908 Alpha Kappa Alpha (ΑΚΑ) was established. It became the first Greek-lettered sorority established and incorporated by African-American college women. 1895 Born: Artturi Ilmari Virtanen, Finnish chemist, Nobel Prize laureate for his research in agricultural and nutrition chemistry. 1866 Born: Nathan Söderblom, Swedish clergyman, Nobel Peace Prize laureate. Söderblom is commemorated in the liturgical calendar of the Episcopal Church and in the Calendar of Saints of the Lutheran Church on July 12. 1865 The Confederacy lost in the Second Battle of Fort Fisher. Fort Fisher had tremendous strategic value during the American Civil War. 1842 Born: Mary MacKillop, Australian saint, known as St. Mary of the Cross MacKillop. She is the founder of the Sisters of St. Joseph of the Sacred Heart (its members are known as Josephites), the congregation of religious sisters that established number of schools in Australia, New Zealand and New Guinea. 1842 Born: Josef Breuer, Austrian psychiatrist, known for his key discoveries in neurophysiology. Breuer developed the talking cure and laid foundation to psychoanalysis that later was developed by Sigmund Freud, his protégé. 1815 Died: Emma, Lady Hamilton, best remembered as the English mistress of Horatio Nelson, the 1st Viscount Nelson. 1809 Born: Pierre-Joseph Proudhon, French economist and politician, the founder of Mutualist philosophy. Proudhon was the very first person to declare himself as anarchist, thus he became the "father" of anarchism. 1759 The British Museum first opened to the public in Montagu House in Bloomsbury, London, England. This museum is dedicated to human history and culture. 1755 Died: Giovanni Battista Sammartini, Italian organist and composer, one of highly regarded composers. Often confused with his brother Giuseppe Baldassare Sammartin, a composer with similar prolific output and same initials. 1754 Born: Richard Martin, Irish politician and campaigner against cruelty to animals, the co-founder of the Royal Society for the Prevention of Cruelty to Animals (RSPCA), the oldest and largest animal welfare organization in the world. 1622 Born: Jean-Baptiste Poquelin, known by his stage name Molière, French playwright and actor. Molière is considered as one of the greatest masters of comedy in Western literature. 1559 Elizabeth I was crowned Queen of England by Owen Oglethorpe, the Catholic bishop of Carlisle, in Westminster Abbey.